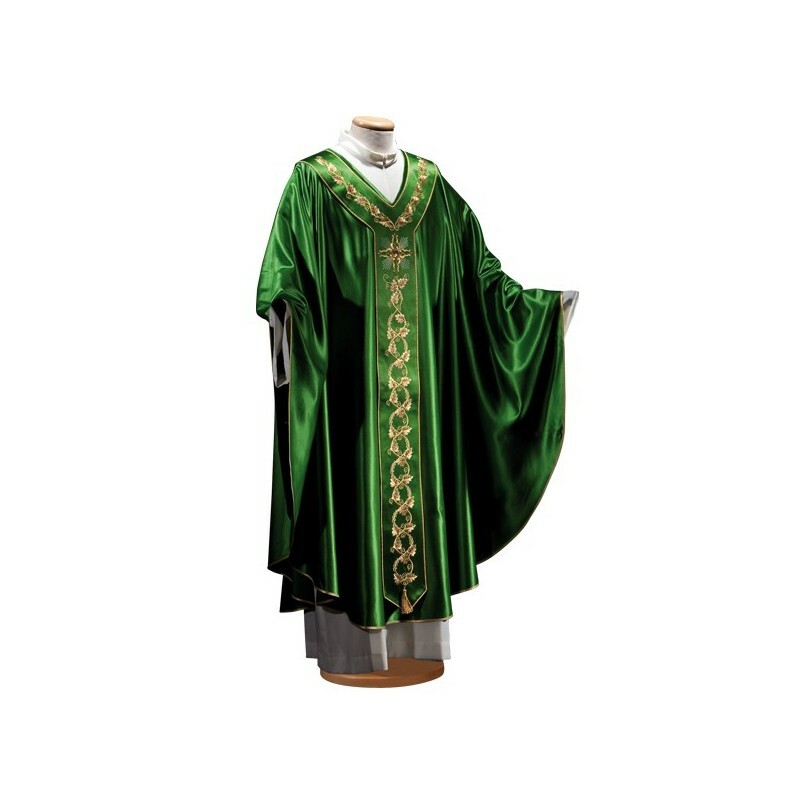 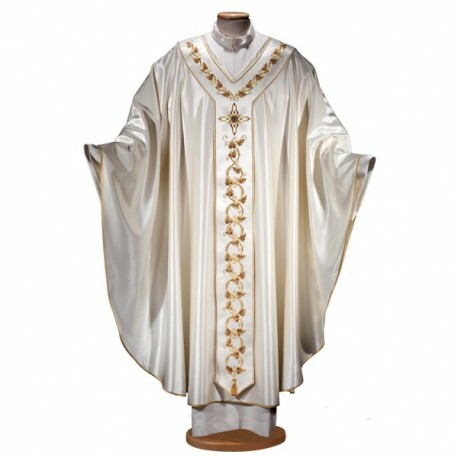 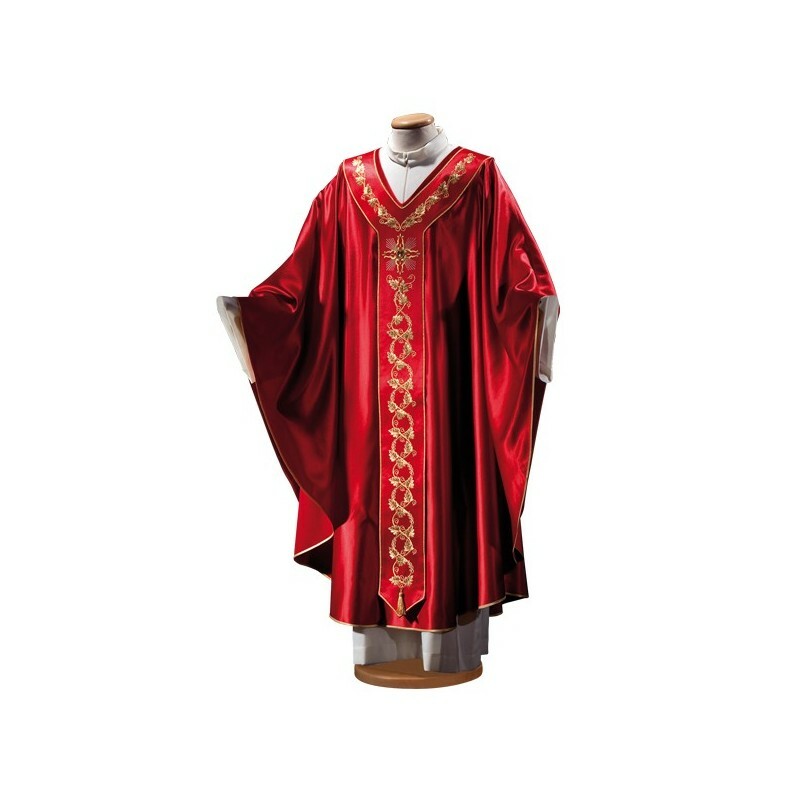 This chasuble has a precious silk and wool woven, made on satin with machine. 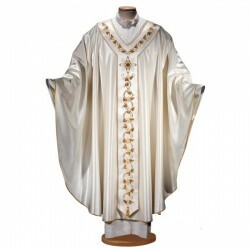 The neck could be made in the “cathedral” version or in the original “V” version. 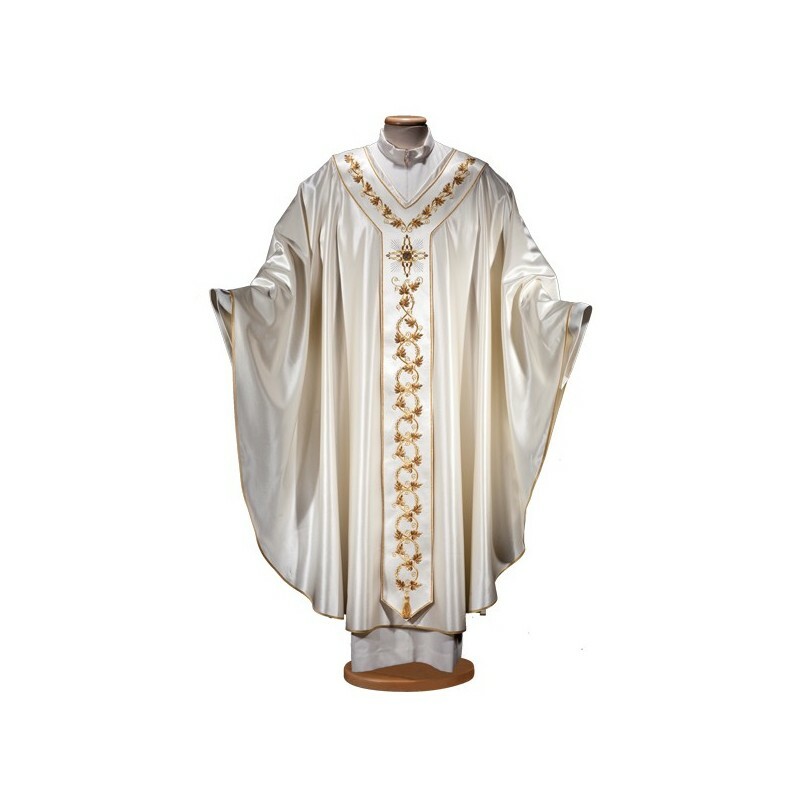 The item is made in Italy by skilled embroiderers. 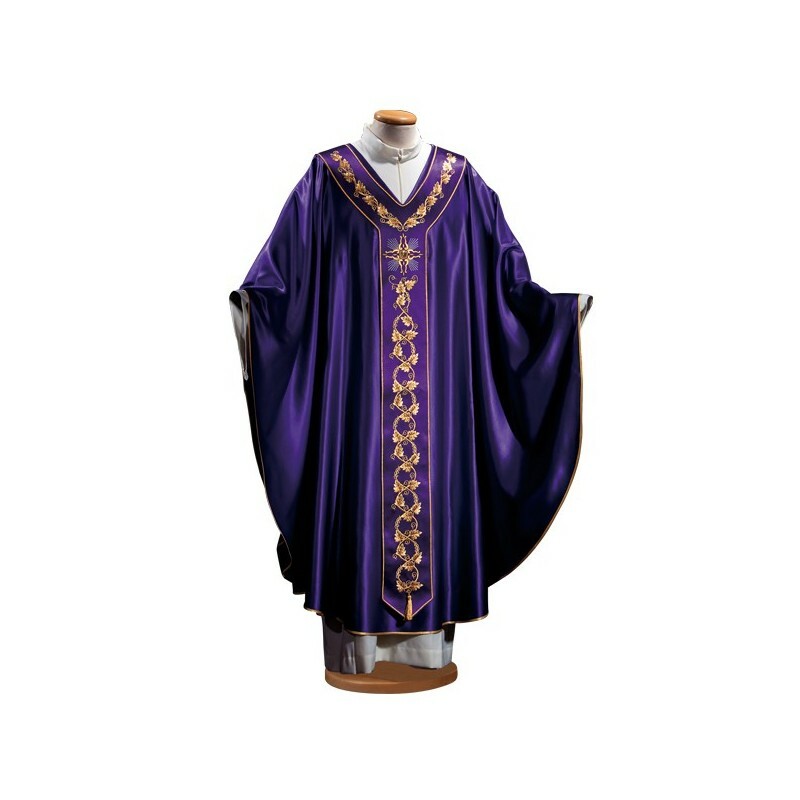 It is available in the 4 ritual colours.